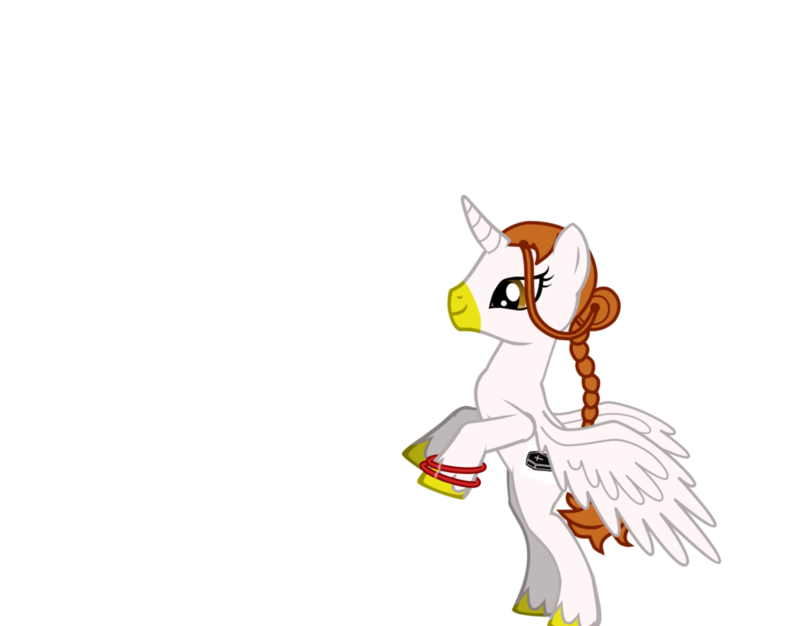 This new filly works as the Undertaker's Apprentice somewhere around Ponyville. She is very eager in mastering the delightful Art of Death and anything related. Her specialities include helping to take care of deceased Ponies, Unicorns and Pegasii. Be it a swift cremation, or a more traditional burial ceremony. Ariel is very compassinate and will always have a few kind words for the bereaved. The swan pony is curious, kind and deviant. Set in the My Little Pony Friendship is magic Universe. After watching MLP:FIM some weeks back I decided to make a pony of my own with this delightful tool. And behold - My swan character as a pony! There is another reference to an animated series on Nickelodeon as well. Cookies to those who catch it! I should probably do something with the background. Feel free to offer me some background help!